Due to the flexibility that Freelancing offers, its craze has been increasing by leaps and bounds. A freelancer is free to set his working hours, rates and works in the comfort of home (that’s something we all desire). A survey conducted by Edelman Berland in 2014 has shown that 34% (53 million) of America's workforce are working as freelancers. Freelancers contribute $715 billion to U.S's national income. 2/3rd of freelancers said that they would freelance for 10+ years. 65% said that their life (as a freelancer) has improved. Their median income was $10,001–$20,000. 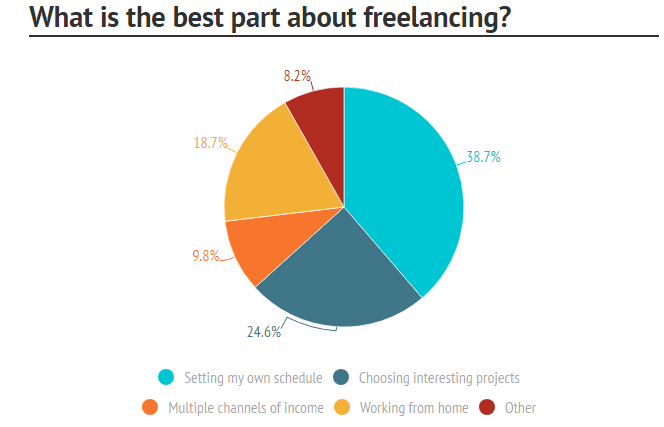 62.5% respondents said that they freelanced full-time. Above data clearly shows how much freelancing is loved by the freelancers. And to help you find freelance jobs; I have listed 21 freelancing sites. Choose your favourite one:. Like the name suggests college recruiter is for college students and recent pass outs. Here college students can find part-time freelance jobs and earn extra cash. And recent graduates can give their career a boost by working as a freelancer with College Recruiter. College Recruiter offers Entry Level jobs, internship for grads, jobs for recent grads and jobs in growing industries. On Croogster freelancers are called sellers, who sell their products (services), called Croogs. Freelancers can provide services like proofreading, migrating a WordPress domain, keyword research and more. Freelancers are free to set the price of their croogs (services). They also need to provide the estimated time to complete the job. You create your croogs showcasing what you are providing and for how much. And buyers will by your service by clicking on buy button (similar to e-commerce sites). If you fail to deliver your croog (service) in time or if the guidelines are ambiguous your account will not only get affected negatively, but the payment will be refunded too. Croogster is beneficial for buyers as well as for sellers. Croogster respects your work. If a buyer cancels an order which is already in progress, you will get full compensation for your already done work. Other than the buyer-seller thing, Croogster also has the traditional feature of freelance sites. Buyers can post projects to which freelancers can respond. Fiverr is quite similar to Croogster or should I say Croogster is similar to Fiverr. Because Fiverr is much older than Croogster and naturally the competition is more intense. Here Freelancers create gigs (services), show off what they can do and if clients are impressed they buy their services. The minimum price for each gig is $5. 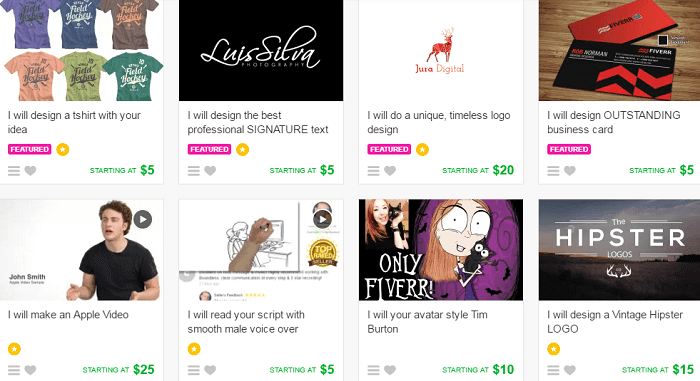 Mostly Fiverr freelancers get small tasks which are easy to complete and take less time. 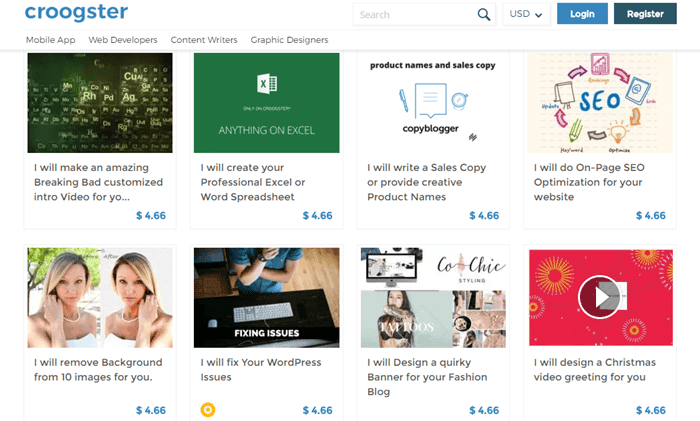 So if you’re looking to work as a freelancer but don’t have much time, then you should definitely join these two sites (Croogster and Fiverr). Crowded allows freelancers to find and work in many categories including software engineering, CSS, JAVA, web development and PHP. So crowded is for tech professionals. Freelancers can chat directly with the clients over text message, Facebook messenger or email. CrowdSource has over 8 million freelancers, 200,000 qualified workers and is accessible from 180 countries. Freelancers can find work in the following categories- writing, data, moderation and transcription. Before you can start working on CrowdSource, you will have to pass their test which won’t be easy (for freelancers just starting out). Freelancers can only view those tasks for which they have achieved 'qualification'. Workers who perform well have access to more projects and earn additional income. Guru is one of the oldest Freelancing websites. This freelancing site has been maintaining its position since the 90s. They have more than 4,408 job postings in every category. So you will never run short on projects. You can find work in various freelance categories including web, software, art, design, engineering, writing, translation. Guru displays your previously done works, making it easier for clients to measure your skill level. PeoplePerHour supports 15 categories which are again divided into hundreds of sub-categories including, SEO, Mobile, Software development, Web development. On PeoplePerHour you can send proposals to clients. Clients can also find freelancers and contact them directly. Article bunny is solely for freelance writers. ArticleBunny has a strict test for freelancers trying to join their network (to make sure their clients only get the best articles). The test includes English proofreading exam. After you have passed this test, they will ask you to write an article. Your article will be thoroughly inspected by ArticleBunny’s team. So make sure you proofread your article 4-5 times before submitting. For checking grammatical errors, you can try this tool. Even after all this, before sending to the client, your articles are checked by experts for its quality. Best thing about working as a freelance writer on ArticleBunny is that you will be paid for each revision. Elance was launched in 1999. It merged with oDesk in April 2014 and formed Elance-oDesk. Elance-oDesk consisted of 8 million freelancers and 2 million business professionals. In 2015 Elance-oDesk was relaunched as Upwork. Currently, upwork boasts 10 million freelancers. It is one of the best platform professional freelancers as well as for beginners. Freelancers can find jobs in IT, marketing, writing, graphic designing and other creative jobs. Freelancers with programming skills in (PHP HTML Android) can also start their career as a freelancer. The best feature of Upwork is that they let you take tests and you can show off the test results to impress the hiring managers. Don’t worry if the test results are not well. You can choose to not to show the results to anyone. You can take the same tests after 30 days. Being one of the most popular freelancing sites, millions of jobs are posted on Freelancer.com. Whether you are a writer, designer, or a data entry expert, this site has something for you. You can also participate in contests. When you win these contests, your profile will become more notable, and your bids will get accepted more often. Creative Group is under Robert Half. Here Freelancers can find full-time jobs, contract to hire and freelance jobs. You can find projects in copywriting, graphic designing, marketing, art and more. If you are experienced and talented in your field then you should definitely try this freelancing site before, any other. However, Toptal is not for beginners. Before you can start working as a freelancer on Toptal, you have to go through an interview. The interview involves many tests and no, these tests are not easy. You can estimate the level of these tests by the fact that only 3% freelancers are able to pass the interview. Toptal’s interview is tough but once you have become a Toptal freelancer you can set your own rates. And clients are more than willing to pay high rates for your services because they know you are an expert. You can join Toptal if you are a software developer, designer or finance expert, etc. and work with top class companies like Airbnb, Art.sy and J.P.
FlexJobs has completed 10 years as a staffing agency, and like most of the sites, it is free to join. Every projected posted here is screened by professionals. So you will never see scams on this site. FlexJobs provides its members with skill tests, expert tips and special discounts. And freelancers can find work in 55 categories. Aquent is a freelancing platform where creative and digital professionals can find work. Aquent also provides free training courses to freelancers through GYMNASIUM. Freelancers can work from remote places as well as in-office. SimplyHired has millions of jobs which are posted in a wide range of categories. Whether you are skilled writer, designer or anything else SimplyHired has something that will match your skill. SimplyHired makes it easy to search for local projects through location-based search. Their blog also helps freelancers by publishing New tips. It doesn't matter whether you are a blogger, novel writer or any other type of writer. This freelance site has a Huge variety of writing jobs. Though iFreelance supports dozens of categories, the number of projects posted there is not high. So might struggle to find jobs. But iFreelance also has some good features- they don’t charge any membership fee (like most of the platforms) and iFreelance doesn’t even take commission from your earnings. Another site for freelance writers. Here, all kinds of writing jobs are posted. Some of the categories are: blog post, web content and social media. Scripted is the best place for freelance writers, but to claim writing jobs you’ll have to pass their test. Like Toptal Bunny Inc has a tough interview process. It makes sure that only best writers can be a part of Bunny Inc. They use an artificial intelligence system to match the clients with relevant freelancers. Bunny Inc is not only tough on freelancers. All projects have to pass their quality check. Thus freelancers are assured to get top class projects. The thing I liked most about Bunny Inc is that freelancers get paid for their work even if the client rejects it. Currently, Bunny Inc only supports four categories- writing, logo design, dubbing and voice over. Here freelancers can work in dozens of categories including SEO, web design, programming, graphic design, writing and more. Project4Hire has something for every freelancer so it doesn’t matter in what profession you are. Like the name suggests, 99Designs gives you the opportunity to design logos, web, cover, T-shirt, etc. Unlike other sites here freelancers create their designs from which clients choose their favourite one. The designer who has created that design is paid. No matter what your expertise is, this list has something for you. I recommend you to select 2-3 websites that suit your profession and create a portfolio that exhibits your skills. Which freelancing site is your favourite?